World No. 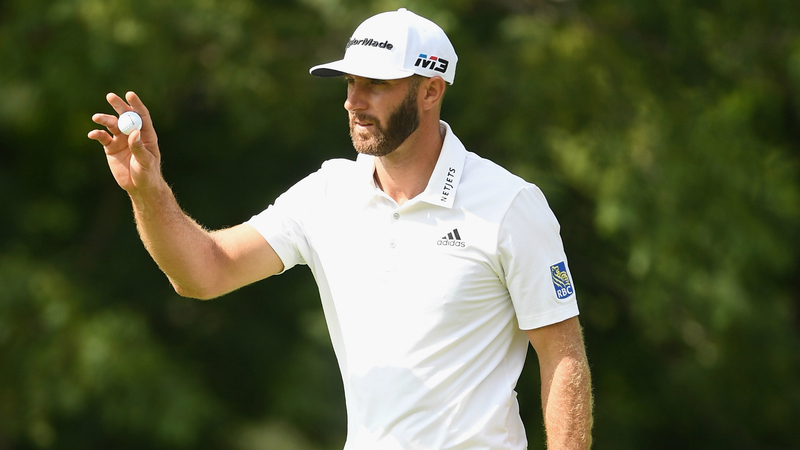 1 Dustin Johnson surged into a four-way tie for the lead at the RBC Canadian Open following Saturday’s third round. Johnson carded a 7-under 65 to earn a four-stroke lead alongside An Byeong-hun (66), Kevin Tway (68) and Kim Whee (67) in Oakville, Ontario. The American star missed the cut at The Open but Johnson has regrouped in Canada, setting the Glen Abbey Golf Course alight with a sizzling third round. Johnson — seeking his third win of the year — was three shots off the pace when he teed off Saturday but the 2016 U.S. Open champion vaulted himself into contention by birdieing five of his first six holes. He dropped a pair of shots following the turn but Johnson recovered with consecutive birdies and an eagle to head into the weekend at 17 under through 54 holes. Hudson Swafford and Rory Sabbatini are the quartet’s nearest challengers, four shots off the pace following respective rounds of 67 and 68. Johnson Wagner is among six golfers a stroke further back, while Tommy Fleetwood posted a 68 to be 11 under after three rounds. Keegan Bradley was in the hunt following back-to-back rounds in the 60s until the American recorded a 73 to drop down to 13th, seven shots behind Johnson.